Our group offers a unique opportunity to grow your digital design skills while you assist with the development of different types of ASICs. Your duties will include Verilog/VHDL coding, functional verification, synthesis, and timing analysis. -Develop and execute detailed block-level and chip-level digital designs. 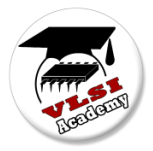 -Write and verify RTL code (Verilog/VHDL) for digital sub-systems of system-on-a-chip (SOC). -Writing test plans and test-bench development. -Generation of required documentation and contribution to the validation and debugging of the fabricated silicon. -Working knowledge of Cadence's and Mentor IC design and verification tools on (NC--SIM, AMS-designer, ModelSim, etc). -Strong documentation, communication, and presentation skills. -Excellent problem solving and analytical skills. -Must exhibit technical leadership and have experience with team building, process improvement, conflict resolution, and motivating people. -Knowledge of P&R and DFT tools is a plus. -Room for career growth and external training. 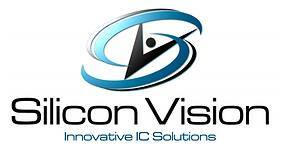 If you are interested, please send your updated resume along with your contact details to careers@si-vision.com. Please type only DSE001 in email's subject.